Are Stars with Planets More Active? Previous research has revealed that stars in close binary systems are more magnetically active than single stars. Accordingly, several researchers have investigated whether stars hosting close-in planets are more active than stars without (detected) planets. The short story seems to be that while some planet hosts have planet-induced chromospheric activity (Shkolnik et al. 2003, 2008; Kashyap et al. 2008), stars with planets are not usually more active than stars without planets. Rather, the observed trends in X-ray luminosity and planet occurrence appear to be due to selection effects rather than star-planet interactions (Poppenhaeger et al. 2010). 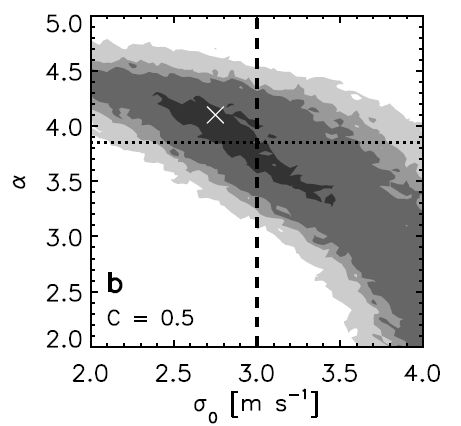 In this paper the authors conduct a statistical analysis of the chromospheric and coronal activity of 74 stars with planets and 26 stars without planets. They measure chromospheric activity via the strength of the Ca II H and K (singly ionized calcium) emission lines and coronal activity via the fraction of the star’s luminosity emitted at X-ray wavelengths. 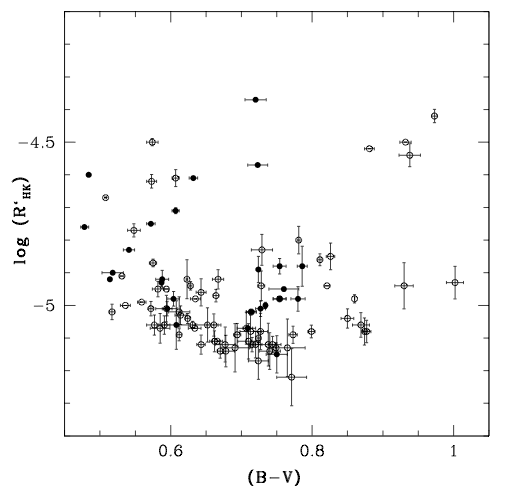 All of the stars in the sample are main sequence FGK stars and have been targeted by radial velocity surveys. Although the stars in the control sample are not known to have planets, the authors caution that the lack of detected planets around those stars does not necessarily imply that they do not have any planets. Chromospheric activity of stars with planets (open circles) and stars without planets (solid circles) as a function of B-V color. There is not a significant correlation between the presence of planets and chromospheric activity. Figure 4 from Canto Martins et al. 2011. 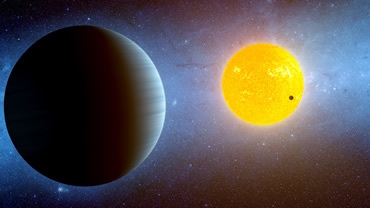 Despite the relationship between binary stars and magnetic activity, the authors do not find a similar relationship between planet hosts and magnetic activity. As shown in the Figure, both planet hosts and stars without planets have similar levels of chromospheric activity and a Kolmogorov-Smirnov test indicates that the stars could have been drawn from the same population. In addition, the authors do not find evidence for a correlation between activity and planet semimajor axis. Instead, they argue that the tendency for stars with high levels of chromospheric activity to also have massive close-in planets is merely a selection effect due to the increased difficulty of finding planets around active stars compared to quiet stars. Because massive close-in planets are the easiest class of planets to detect with radial velocity surveys, astronomers are more likely to be able to detect a massive close-in planet around an active star than to detect a less massive distant planet. 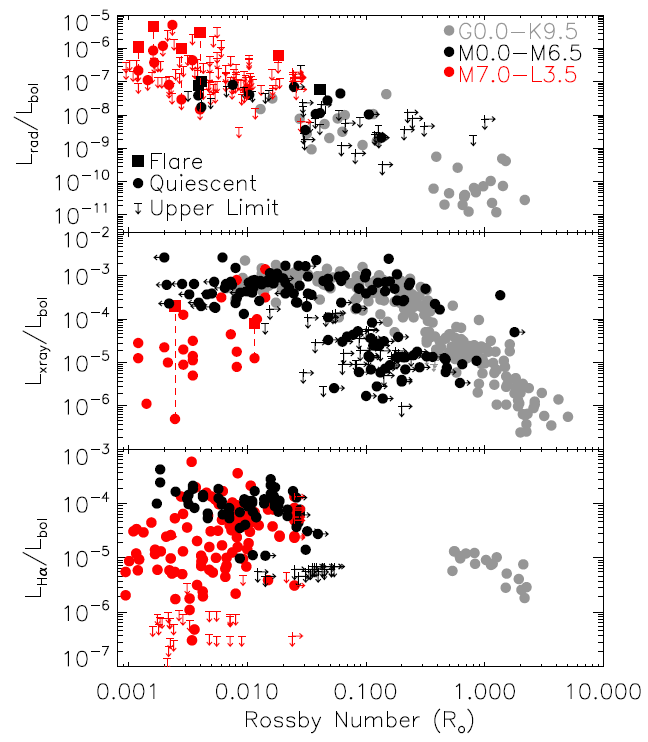 This result is a reminder that the selection effects inherent in the various planet detection techniques can lead to apparent correlations in parameters that may or may not actually be correlated. I am a fourth-year graduate student in the Astronomy Department at Harvard University. My research interests include exoplanets, habitability, and astrobiology. I received a master's degree in astronomy and astrophysics from Harvard University and a bachelor's degree in astrophysical sciences from Princeton University. At Princeton, I worked with Jill Knapp to study the magnetic activity of M dwarfs with white dwarf companions and with Dave Spiegel to model the habitability of terrestrial exoplanets. For my senior thesis, I worked with Ed Turner, Michael McElwain, and the SEEDS (Strategic Explorations of Exoplanets and Disks with Subaru) collaboration to directly image young Jovian exoplanets using the Subaru telescope. At Harvard, I am working with Dave Charbonneau to study the properties, frequency, and detectability of small planets orbiting small stars.